paper pipe robots, originally uploaded by laurasjoquist. 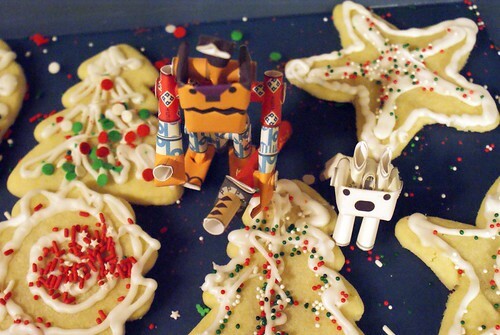 After decorating sugar cookies, Jack helped me make these paper pipe robots. It’s Rokusuke and his dog hachi. They’ve been instructed to guard the cookies. Mostly from me.